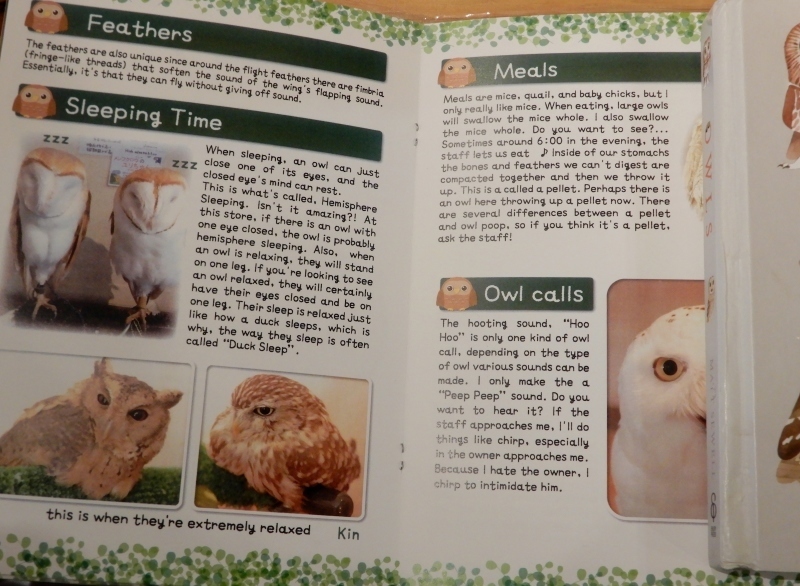 Snowdrop has got a waka-tanka anhology in German this year (right). 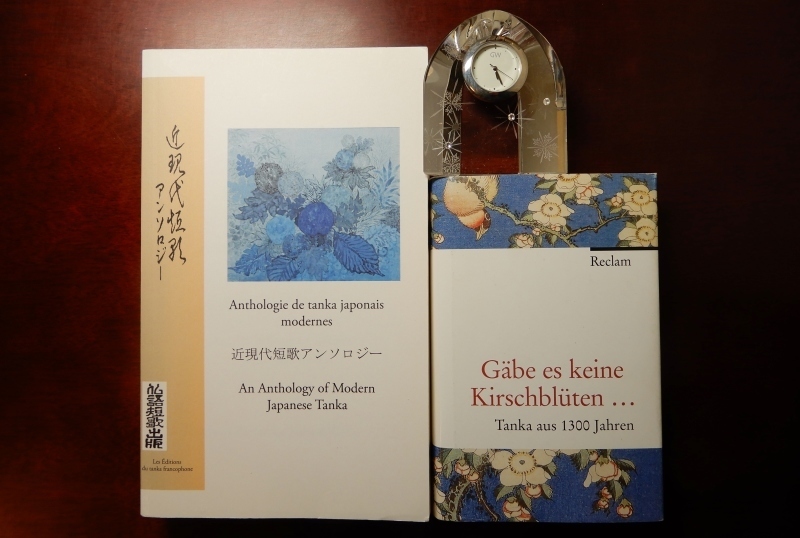 Do you find Hokusai's bird and flowers in the cover design ? 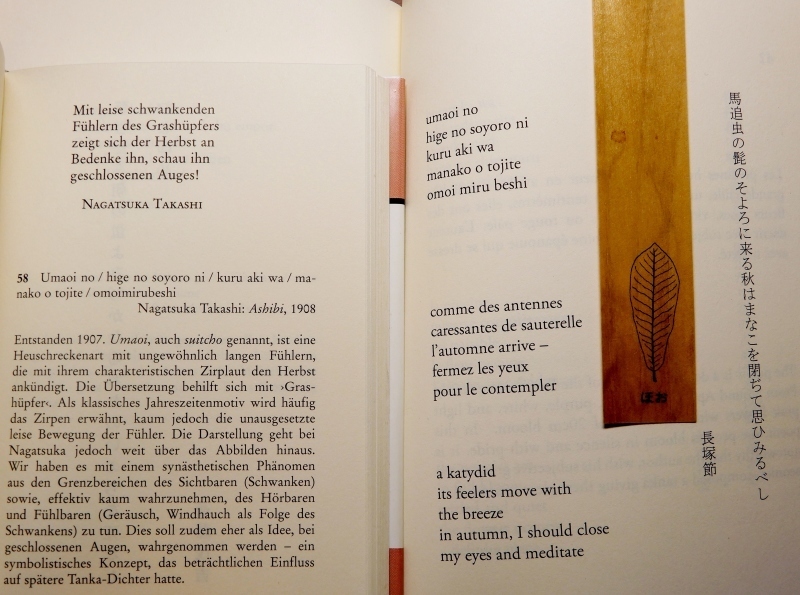 One tanka on a katydid by Nagatsuka Takeshi is on both these books. The word "katydid" or "sauterelle" sounds lighter than Japanese "uma-oi"（SUITCHO）. 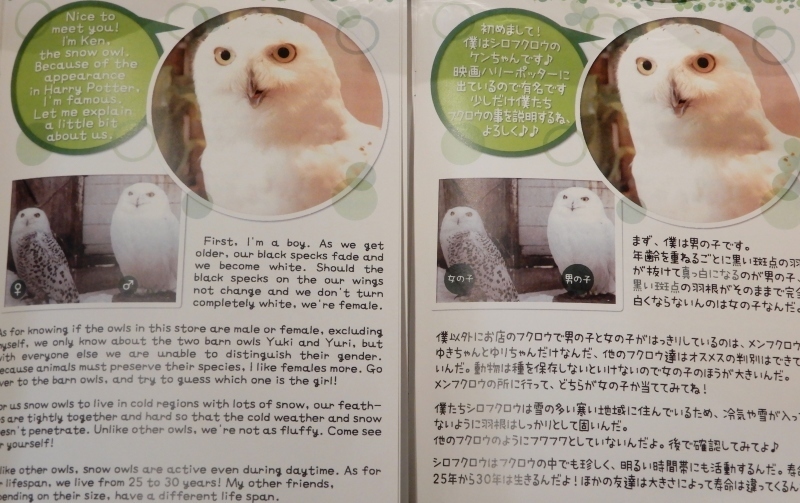 The above typical sounds, however, do not appear in this tanka. 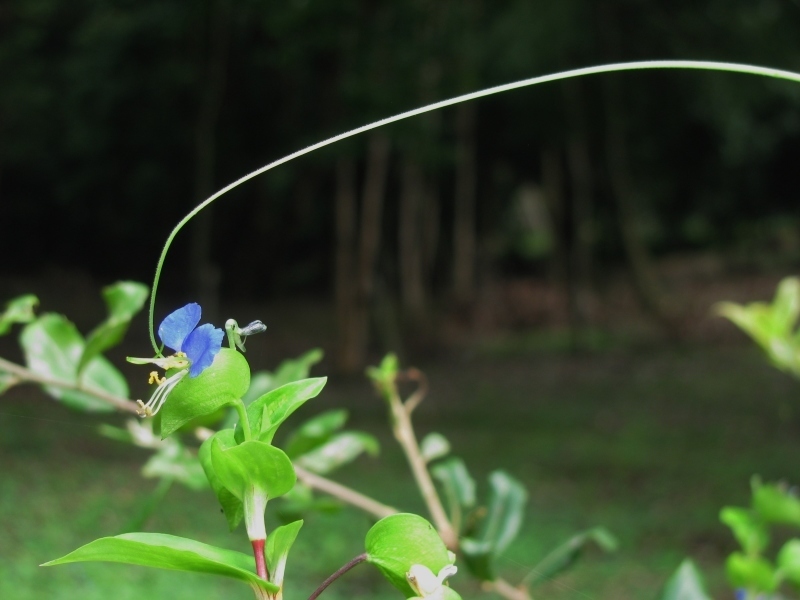 The coming autumn is depicted delicately by the feelers moving with a breeze. 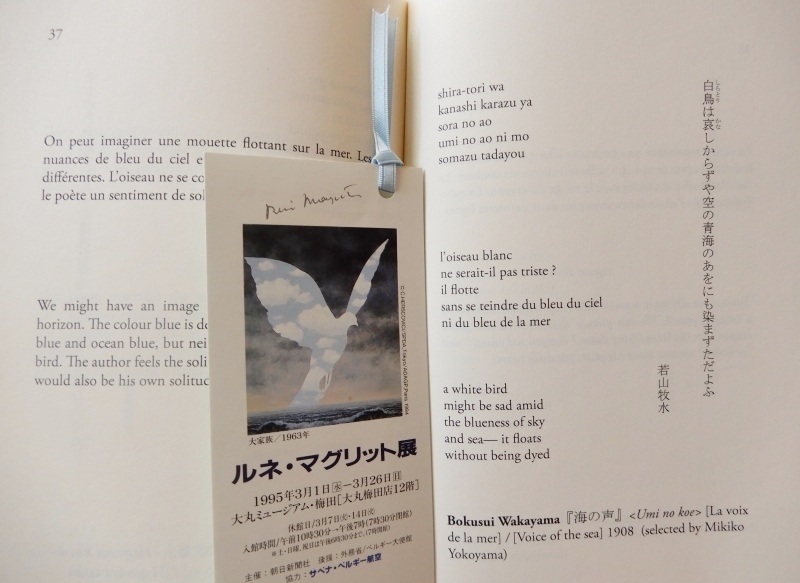 Its length is implied by the expression "umaoi no hige no soyoro ni"
when being read without taking a breath. These foreign words share a sort of spiritual nuance. and German prefix "be" means "well". 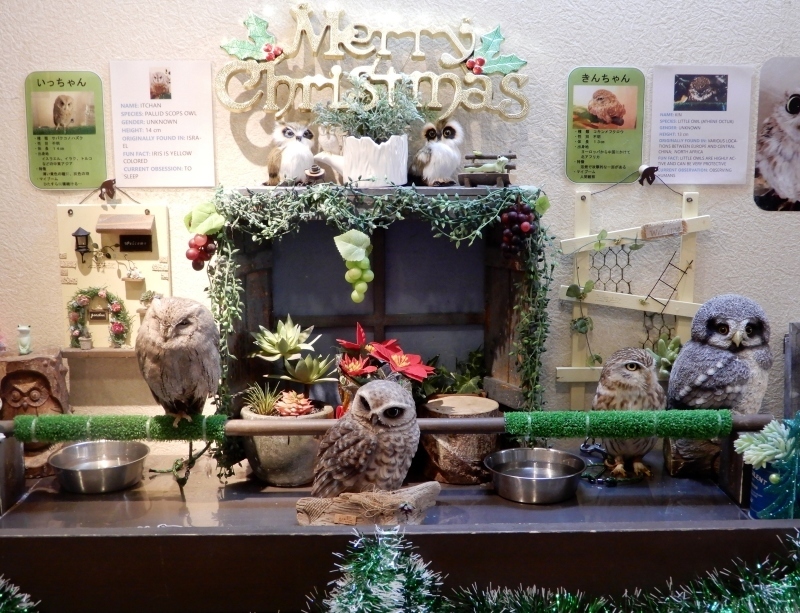 Welcome to Chouette Cafe "wata-wata"! 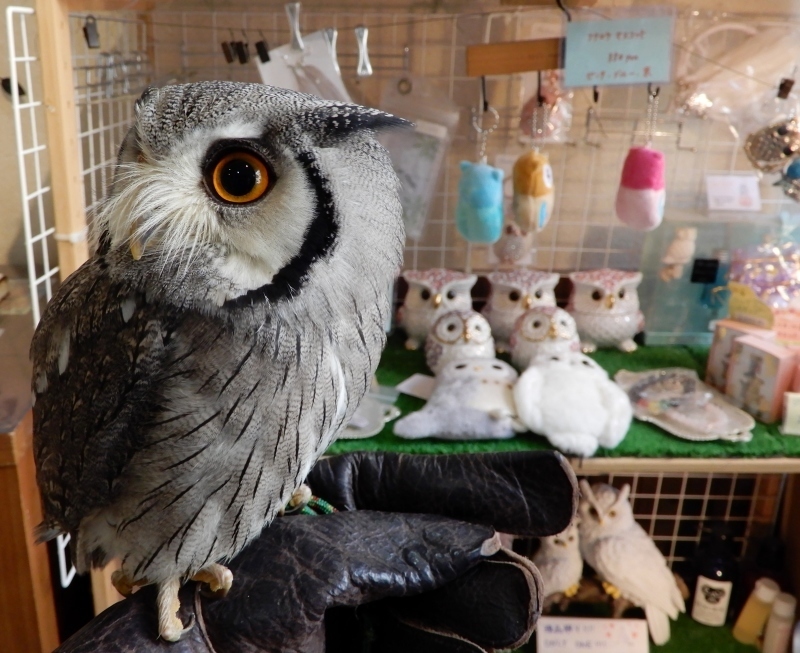 Various owls are among stuffed ones. 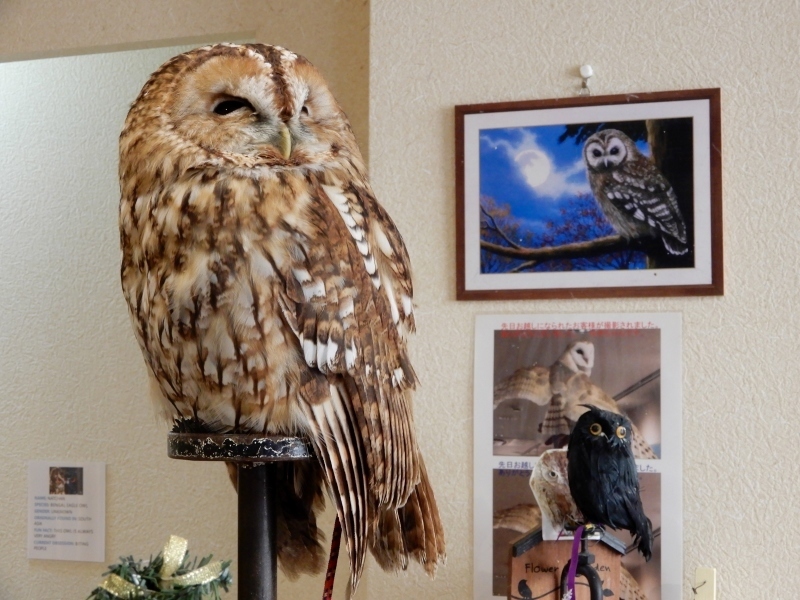 I am not a stuffed owl but a living owl! 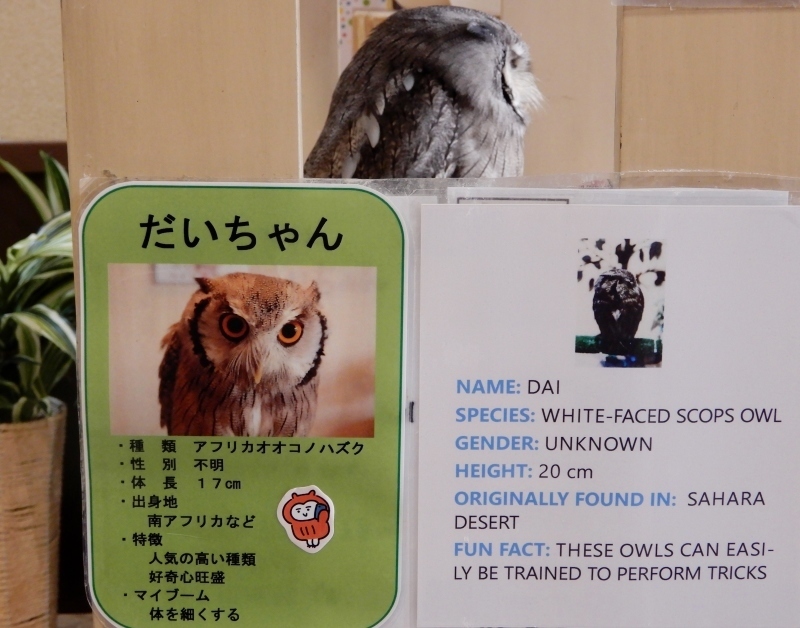 My name is DAI. 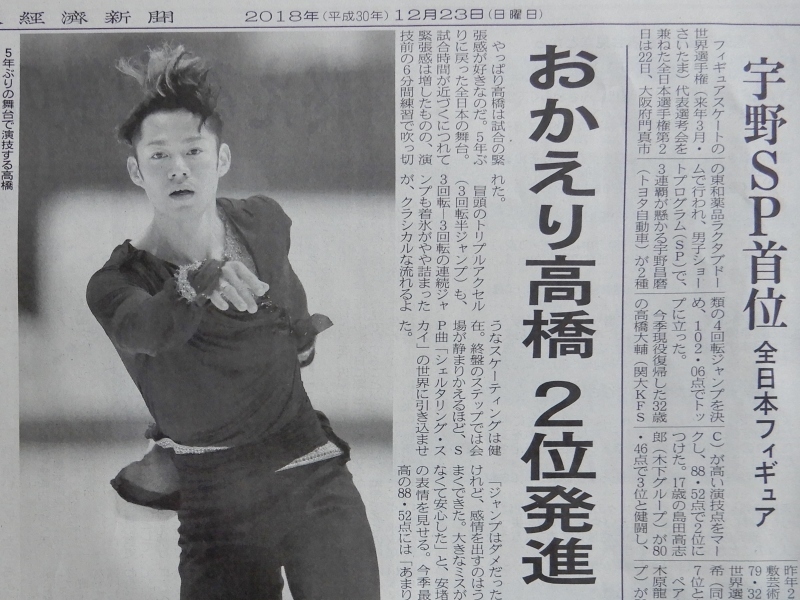 On snowdrop's hand, I am rooting for Daisuke Takahashi! 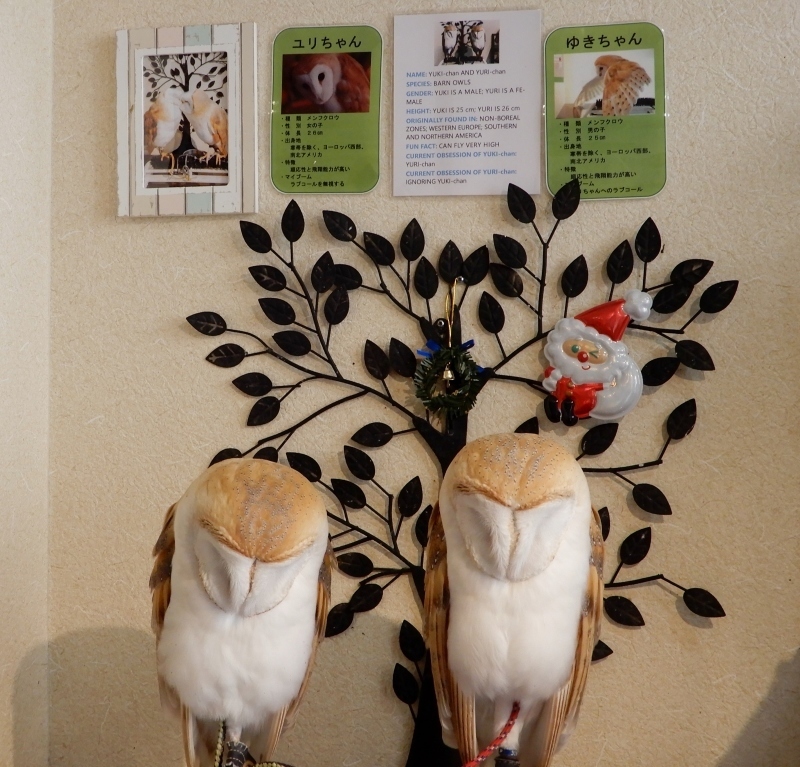 We are sleeping owls,without noticing Santa Claus. You can see our eyes by these photos on the wall. I am a beauty like a photo model! 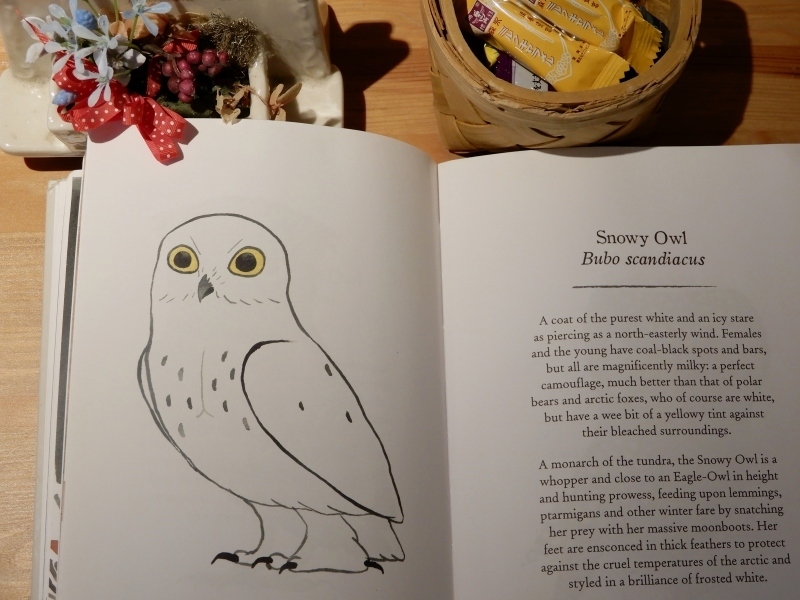 At the table with one drink, let's learn about the owls. 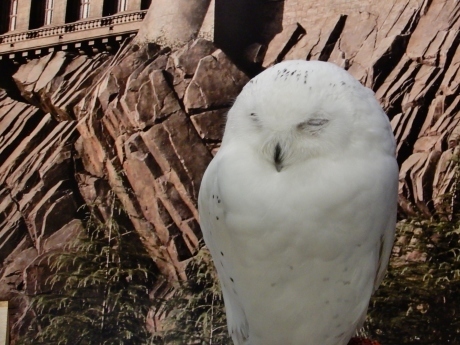 YOU, a foreigner, do not worry! 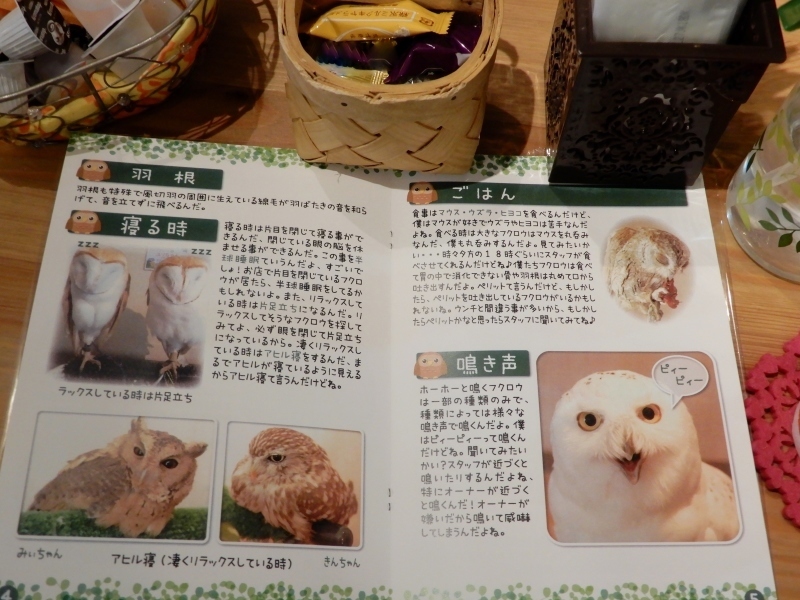 Here is Nara, famous as a world leading tourist attraction! Snowdrop's avatar? Or a photo of her prospective bridegroom? 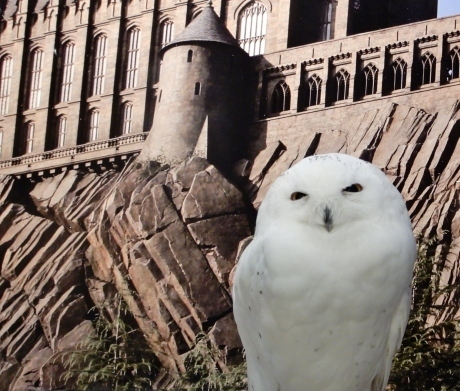 A living snowy owl was in the front of Hogwarts Castle. Welcome BACK, DAISUKE, our LEGEND !